There was another front on the team blue vs team red battle in Australia other than the Commodore and Falcon. 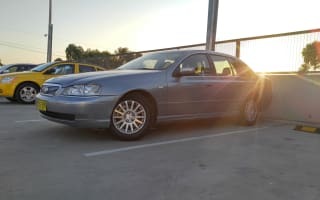 For many decades, the Holden Caprice/Statesman and Ford Fairlane/LTD traded blows on the Australian luxury car landscape. These barges carried the most successful Australian businessmen, politicians and captains of industry. If you turned up in your driveway in the ’70s with a new LTD, the entire street would know you had hit it big time. But with the dawn of the new millennium, the rich and successful had moved onto foreign prestige imports and the local-built limo was losing favour among Australian buyers. By the time the BA-series Fairlanes rolled around, the once proud Fairlane had been overtaken by the Statesman in sales. 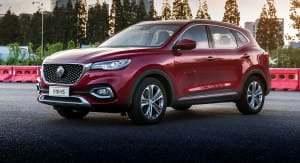 A move that is usually blamed on Ford for not doing as much as Holden to differentiate it from the short-wheelbase model. Plummeting sales and the stereotype that these sorts of vehicles were only driven by chauffeurs, politicians, real estate agents, funeral directors and retirees made for weak resale values. In 2007, the WM series of Statesman/Caprice was launched to strong reviews, with its full-length rear doors rather than having stolen the rear doors off the wagon version of the Commodore; a feature that plagued all local limos from before, making for a slightly awkward exit from the rear seats. With dwindling sales, the new Statesman/Caprice running off with the spotlight and no export program to prop it up, Ford Australia called it quits on the Fairlane/LTD just as it was getting off the design board for the brand-new FG series. Looking back on the Fairlane/LTD, we should have really paid more attention to it when it was discontinued. It was foreshadowing the demise of the local car manufacturing industry just a decade later. Upon getting a job that required a fairly long commute, I set out looking for my first car. I wanted a car that was comfortable, quiet and reliable. The car would be carrying a couple of mates and a decent bit of luggage on a semi-regular basis, which leaned me towards a car on the bigger end of the spectrum. A Toyota Camry was an option, but quickly discarded due to it being just too vanilla. The Skoda Superb, VW Passat and Citroen C5 were also considered for their various qualities, but eventually crossed off the list due to me not wanting to take chances with Euro car reliability and part costs, along with some DSG/Hydropneumatic suspension horror stories. I eventually started to look at the local options, Commodore and Falcon, due to their reliability, wide availability of parts and every mechanic knowing the ins and outs of them. The Commodores and Falcons were all well and good, but I wanted something a little bit special. I decided to check out the long-wheelbase versions and they instantly piqued my interest. The long-wheelbase versions looked a lot more graceful with their stretched body and more distinct three-box appearance. The extra leg room in the back would be a big hit with my friends on long journeys and the bigger boot would come in handy as well. 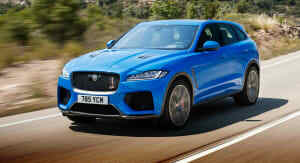 The longer wheelbase would also lend itself to making a smoother-riding car over the bumps on Sydney’s rutted streets. They would be also reliable, as they were virtually mechanically identical to their short-wheelbase Falcon/Commodore cousins. I eventually decided that for my first car it would be either a Statesman or Fairlane, as the higher-up LTD and Caprice models were rarer and more expensive. Eventually I leaned towards the Fairlane due to several factors. I particularly liked the styling of it, with its rounded edges, stretched cabin, long rear overhang trunk and the liberal application of chrome styling accents. The second reason would be the legendary Barra inline-six engine. The natural balance and smoothness of the inline-six, along with the extra power and torque it had in comparison to the equivalent V6 in the Statesman, made it the clear engine of choice. I could have gone for a V8 Statesman or Fairlane, but I decided against it as the extra fuel consumption didn’t feel justifiable, and the relative rarity of the V8 would mean I would have a narrower choice of examples to choose from. Having a relatively tight budget, I aimed for a BA to BF-series Fairlane or a WH to WL-series Statesman. Having sat in both, I concluded that the Fairlane offered a vastly superior cabin in terms of ergonomics and infotainment. The colour infotainment screen in the Fairlane easily trumped the monochrome display of the Statesman, and the buttons to operate crucial vehicle functions like the radio and windows felt like they were in more convenient positions. 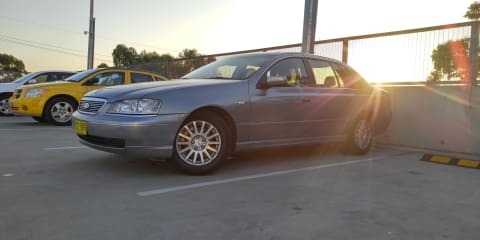 I was able to find a Mercury Silver 2003 BA Fairlane Ghia 4.0 with 160K on the clock at a dealer in excellent condition for just under $4500. The first thing that hits you when driving the Fairlane as a daily is that it’s big. At 5.16m, it dwarfs most large SUVs on the market today. Manoeuvring this beast in tight city carparks can result in quite a few back and forth shuffles to get it into or out of parking spots. The standard rear parking sensors are a godsend, though a reversing camera would have been even better. While the extra length could prove a challenge while parking, it really does make for a cavernous cabin. I’m 185cm and with the driver’s seat set to my position, I could sit behind myself upright and have about 15cm of space between my knees and the seat in front – something that has never happened before. The boxier roofline compared to the Falcon sedan lends to the Fairlane having better head room as well. Sitting upright in the back, I would have a decent amount of head room, while in the BA Falcon it would be close to touching the lining. The only real gripe is that the rear seats seem to be a bit low and short on thigh support, leaving your knees hanging in the air a little. Though this could just be down to my height. The extra 25cm of length over the Falcon doesn’t only go into the wheelbase – 15cm of that goes into a longer trunk. This results in 40L of extra boot space at 545L, which is cavernous and easily able to swallow multiple suitcases and all the shopping you could ever do. It was so big, my friends one day decided to find out how many bodies could fit inside. We managed a decent four. There is a slightly awkward indent in the boot floor above the spare wheel that isn’t present on the Statesman, though. One aspect of the boot I appreciate is its complex gas strut mechanism, which doesn’t eat into any boot space, unlike the more common swing arms. Out on the open road, the Fairlane is really a quiet and smooth cruiser. The perfect car for a long motorway cruise down the south coast to Jervis Bay and back. The tyres that came with the car were on the worn side and had trouble grabbing traction upon take-off in the wet, which caused quite a bit of wheelspin. A new set of Michelin Primacy 3ST tyres fixed that issue and reduced the already quiet cabin noise even more. The Barra 182 engine has plenty of pulling power and revviness to move this 1.8-tonne beast along, allowing for swift overtakes and acceleration when getting ahead at the lights, not to mention that the warble of the Barra under hard acceleration is just heavenly to listen to. Around town, 3000rpm really seems to be the most you need to rev, as it has pretty much all the torque you will need with peak torque coming on at 3250rpm. The weak link in the drivetrain would have to be the four-speed automatic transmission. Four speeds may seem absurd in 2018 with transmissions reaching 10 speeds, but four speeds had remained the standard number of ratios in automatic cars for many decades. The unit is fairly smooth and unobtrusive when puttering around town and on the freeway, but when you start to drive aggressively, the shortcomings are clear. Kickdowns are slow and jerky under hard throttle, and the long second gear really shows when trying to make decent pace from a standstill. Moving the gearbox into reverse from drive takes a second or two for it to engage properly – though I hear that it is a common trait of BA-series cars. While the manual shifting feature seemed nice at first, the limited number of ratios meant that there are long periods where you don’t need to shift at all. I imagine that the manual shifting feature would be a lot more useful in the BF series with their six-speed units. Overall, the drivetrain is a very nice one and works very well in its designed role of long-distance cruising. 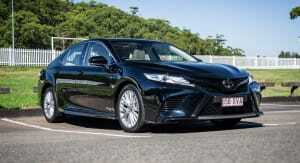 The fuel consumption is not bad considering that it is a large six-cylinder engine. I’ve been getting about 12L/100km from a mix of urban and motorway driving, which is much higher than any modern car, but not at all bad for a powerful 15-year-old barge. The ride can only really be described as ‘wafting’ – the soft suspension irons out most of the imperfections in the road, with passengers only feeling slight bumps as the Fairlane travels Sydney’s poor roads. The suspension can become a bit unsettled upon hitting an unusually large bump, but it quickly calms down. The suspension can also feel at times floaty as the car crests a large dip at high speeds on the motorway, but again quickly settles down – a testament to Ford’s ability to tune for Australian conditions. One might imagine that this luxury barge with soft suspension would wallow more around corners than a cruise ship stuck in a storm, but body roll is surprisingly well controlled, with it only becoming apparent when pushing it fast around a sharp bend. The BA Fairlane Ghia and LTD were fitted as standard with softer ‘Luxury Suspension’, while the V8-powered G220 came standard with firmer ‘Sports Suspension’. From the BA Mk 2 onwards, all Fairlanes and LTDs were fitted with sports suspension as standard, with the luxury set-up being deleted from the line-up. Handling of the Fairlane is impressive with nicely weighted steering that is both direct and accurate. There isn’t a ton of road feel through the wheel, but there is certainly enough to tell you what the front wheels are doing at all times. The steering is fairly quick with 2.2 turns from center to lock, which can surprise you as you hit the lock suddenly during one of your wheel twirling sessions in a tight carpark. The rear-wheel-drive set-up is a bonus as it eliminates torque steer from the equation and allows for better road feel, but can be a bit touchy in the wet, especially since ESC was not a feature. On one rainy day, I was accelerating onto the motorway on a curved on-ramp and the rear started to slide out and fishtail before I rescued it. This was when the older worn tyres were installed, so that might have contributed to the situation. The brakes are adequate at stopping this barge and offer a good amount of pedal travel and feel, though after a long journey they can lose a bit of feel until they cool down again. The front cabin is a fairly well finished and comfortable place. The dials are clear and easy to read at a glance and the controls are all well laid out. The materials used feel functional and hard-wearing rather than premium. As mentioned before, the large central infotainment screen is vibrant and great at displaying the necessary information concisely. The analogue clock mounted on top of the dash is a great touch, but I do wish that the display also had a digital time readout for more precision. The audio system is great and has excellent bass and treble from the powerful speaker system. The six-stack CD changer works flawlessly, though it can take some time to boot up from engine ignition. All the audio controls are logically laid out with numerous handy shortcut buttons present. The AM/FM radio picks up all the stations, although radio reception can be patchy at times. Air-conditioning is powerful and easy to operate, though the compressor can be a bit slow to deliver cold air on a hot day. 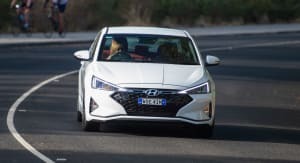 The cruise-control system is intuitive and works flawlessly, though I find myself having to constantly adjust my speed due to the uneven traffic flow often found on motorways. I would certainly want adaptive cruise control on my next car to make commutes that more relaxing. 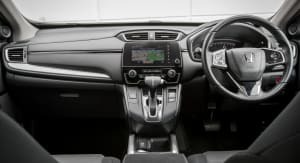 The power adjustable pedals and power front seats mean that getting comfortable is a doddle and not a tedious task that involves a lot of trial and error. The seats themselves are comfortable, though some higher-quality leather and extra side bolstering wouldn’t go amiss. The driving position is good, though you do sit quite high, which limits your upwards view out of the windscreen, especially if you are tall. On the subject of the windscreen, it is steeply raked, which means that it does catch quite a bit of glare from the sun on bright days and can be a bit distracting while driving. Storage cubbies around the cabin are good. The glovebox is a decent size and can fit a street directory along with a fairly large first aid kit. The front door pockets are quite long but narrow, which means that you cannot fit large bottles of water in it standing up. There is a handy storage cubby ahead of the gear lever, which can be used to store your phone or glasses’ case while driving. The storage area under the front centre armrest is large, but I feel like it could be deeper to facilitate the storage of drinks. In the rear, the passengers get a fold-down armrest with integrated cupholders and storage pockets in the front seat backs. Unfortunately, the rear passengers do not get door pockets of any kind. Over the last six months of owning the car, faults with it have been minimal and easy to rectify. The major drivetrain components have not had any issues, and the only problems involved a loose parking brake and burnt-out brake light. Overall, the Fairlane has been a great companion and a great first car for me. While its sheer size can be intimidating at first, I have grown used to it and appreciate the extra room it brings. Technology-wise it is nothing ground-breaking, but it is all functional and works reliably. The Barra engine is a gem, but is unfortunately let down by a sub-par transmission. I’m proud of the Fairlane and look forward to keeping it for many years. Now, if you will excuse me, I need to go and argue with my friends that I’m not a Premium Cabs driver for having one.